A smart thermostat is a great accessory to have in your house, not only to be able to adjust your home’s temperature from your phone, but to also save money on your utility costs. 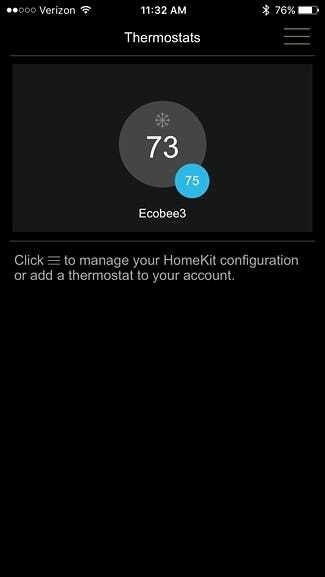 Here’s how to install and set up the Ecobee smart thermostat in your own home. 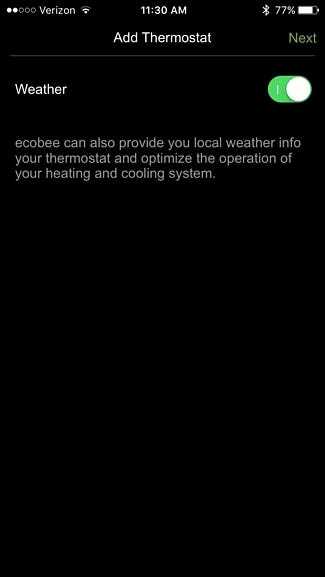 There are two different smart thermostats that Ecobee sells; the Ecobee4 and the Ecobee3 Lite. 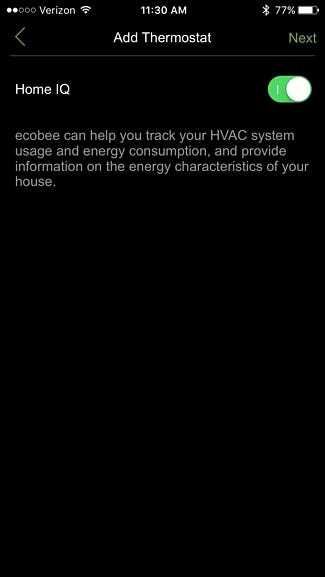 This guide uses an Ecobee3, but the installation and setup process should be identical throughout. Warning: This is a project for a confident DIYer. There’s no shame in getting someone else to do the actual wiring for you if you lack the skill or knowledge to do so. If you read the beginning of this article and immediately visualized how to do it based on past experience wiring switches and outlets, you’re probably good. If you opened the article not sure how exactly we were going to pull this trick off, it’s time to call in that wiring-savvy friend or electrician. Also note that it may be against the law, code, or regulations to do this without a permit, or it might void your insurance or warranty. Check your local regulations before continuing. What Is an Ecobee Thermostat and Why Would I Want One? The Ecobee isn’t quite as popular as the well-known Nest Thermostat, but it does come with some exclusive features that Nest users can’t get. Like other smart thermostats, the Ecobee line of thermostats allow you to control and manage your home’s temperature levels from your smartphone, so you can adjust the settings of the thermostat even if you’re hundreds of miles away from home. On top of that, though, it includes an easy-to-use touch screen display, as well as remote sensors you can put in different areas of your house. Granted, thermostats aren’t something you’ll interact with a whole lot, especially if you program it, but the capabilities of a smart thermostat are really convenient if you ever want to adjust the temperature of your house before you get home from work or vacation. Will the Ecobee Work in My House? One important thing to keep in mind when getting an Ecobee thermostat is that it will work with most HVAC setups, but you’ll need to know what kind of system you have so that you can install the thermostat properly. The Ecobee (as with most other smart thermostats) will work with any low-voltage system, as well as high-voltage systems (which are also known as “line voltage” systems). If you’re not sure what kind of system you have, you can quickly pop off your current thermostat and take a look at the wiring. A dead giveaway for a low-voltage system is if you see a handful of tiny wires in all sorts of different colors, but if you see only two or four larger wires (usually red and black) that are connected with wire nuts, then that’s a sign of a high-voltage system. You can also look on the thermostat itself to see how many volts it is. If you see something like “110 VAC”, “115 VAC”, or “120 VAC” anywhere, then you have a high-voltage system. 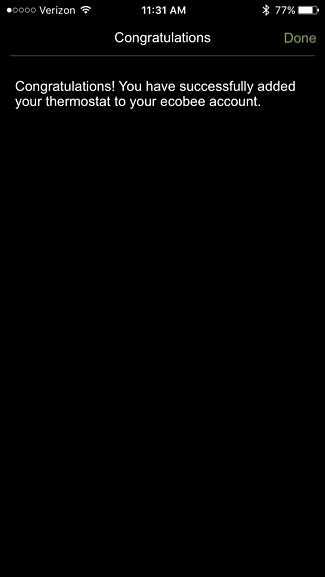 Above: A typical high-voltage thermostat with 2-4 black and red wires. Image from Nest.com. Above: A typical low-voltage thermostat, with multiple small wires in different colors. Image from Nest.com. 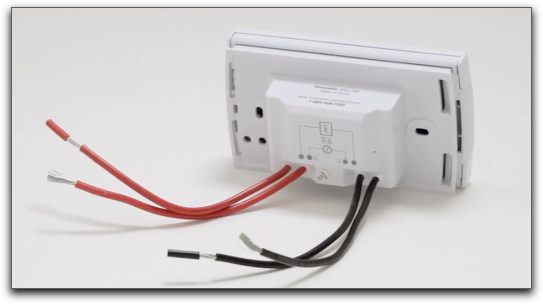 If you have a high-voltage system, then you’ll need to install load relays as described on Ecobee’s support site. This would likely require a professional to install. It’s possible to convert a high-voltage system to a low-voltage system, but it’s pretty involved and takes some know-how, so if you absolutely want to install a smart thermostat of some kind, it might be best to call a professional to convert your system. Furthermore, this might be beneficial to do anyway, since most (if not all) modern systems are low-voltage. With all that said, if everything looks good, here’s how to install and set up your Ecobee smart thermostat. The first thing you’ll want to do is turn off your thermostat. It will still be on, but you’re just turning off the heating, cooling, and the fan. You’ll also want to remove backup batteries if your thermostat has any, which are likely underneath a cover or mounted behind the thermostat. Next, you’ll need to cut power to your home’s heating and cooling systems by flipping off the breakers at the breaker box. Keep in mind that sometimes the furnace and the air conditioner are on two separate breakers, so you’ll need to switch off both. It’s also possible that the system fan itself could be on a third breaker. You might also have to turn off a fourth breaker for the wire that gives the thermostat power. The diagram for your breaker box may say which breaker the thermostat is on, but if not, it’s a safe bet that if your thermostat is located in the living room, turning off the breaker for the living room will do the trick. Furthermore, your furnace’s main shutoff could be next to the furnace itself instead of on the breaker box. Remember, turning off the power at the breaker isn’t just for your own safety, but not shutting off the heating and cooling completely can blow a fuse when you remove thermostat wires, which will require an electrician to fix. After the power is completely off, remove the thermostat body from the wall. It’s usually just clipped in and requires a slight tug to take it off, but you may need to unscrew yours. From there, you’ll be able to see the wiring for your thermostat. At this point, we recommend taking a voltage tester and confirming that there isn’t power running to any of the wires. If there is, you need to go back to the breaker box and try turning off another breaker. Next, take a photo of the current wire setup and note which terminal each wire is connected to (this is a really important step, so don’t forget!). Most of the time, the color of the wire will correctly correspond to the letter of the screw that it’s connected to (e.g. yellow wire connected to “Y”, white wire connected to “W”, etc. ), but sometimes you might have something like a blue wire connected to “Y” or a green wire connected to “B” for some odd reason. After you note where all the wires go, unscrew the wires from their screw terminals. If there are any jumper cables (i.e. short cables going from one terminal to another) you can remove them and toss them out, as you won’t need them for the Ecobee3 installation. Once you’ve disconnected all of the wires, you can completely remove the thermostat and take off the thermostat’s wall plate if it has one. It’s likely secured to the wall with a couple of screws. Take the Ecobee’s base plate and put it on the wall where you want the thermostat to go, feeding the wires through the hole in the center as you do so. Use the built-in leveler at the bottom to make it level. From there, you can use a pencil and mark where the two screws need to go–one on the top and one on the bottom. If there’s a stud behind the drywall where you want the screws to go in, you’ll need to drill pilot holes first before screwing the base plate in. Otherwise, the included screws can easily be driven into drywall without pilot holes. The kit comes with drywall anchors, but they aren’t absolutely necessary. When you’re ready to drive in the screws (a drill is highly recommended for this), place the base plate back on the wall where you want it and feed the wires through the center hole (include the trim plate behind the base plate if you want–it’s good to use if you don’t want to spackle and paint over the spot where the old thermostat was). Take the two screws and drive them into the wall, making sure that the plate remains level as you do so. Be sure to screw in the top screw first, and then make fine adjustments to level out the base plate before you screw in the bottom screw. Before you plug the wires into the base plate, you’ll need to check and see if you’ll need to install the included Power Extender Kit (PEK). This is a small device that gets installed on the circuit board of the furnace unit itself and it adds in a “C” wire to your setup if it doesn’t have one. If you’re not sure if you need to install the PEK or not, just look at your thermostat’s wiring. If there isn’t a “C” wire, then you’ll need to install the PEK. To install the PEK, you’ll start off by opening up the casing of the device and you’ll see four terminals on the lid portion. Next, locate the wires you’ll need for the PEK. To do this, take off the from cover of your furnace to get access to the inside–it should open by sliding it an inch or so in a specific direction and then lifting it off. The wires you need will be located along a strip of screws on the furnace’s circuit board. You’ll simply take out the corresponding wires from the circuit board and attach them to the terminals on the PEK, making sure that the letter of the terminal that you took the wire out of matches up the terminal that you insert the wire into on the PEK. From there, put back together the PEK and then take the color-coded white wires on the PEK and attach them to the corresponding letters in the terminals on the circuit board. The process to install the PEK can be really confusing, and every HVAC setup is different, so if there comes a point where you get confused or are not sure about something, don’t hesitate to call Ecobee support. They can guide you through the process. I ended up calling them and they did a fantastic job of walking me through the steps and got the job done in less than five minutes. You can also call a local HVAC specialist if you’re at all unsure of your abilities. Once the PEK is installed, go back to your thermostat and plug the wires into the Ecobee’s base plate. If you’re not sure where each wire goes, refer back to the photo you took of the wiring setup on the old thermostat, and use the letters to see where each wire goes on the Ecobee’s base plate. Again, Ecobee support can walk you through this process as well. Be sure to straighten out any wires that need it using some needle-nose pliers before you insert them into the terminals. To insert and secure a wire, press down on the tab next to the terminal and then push the wire into the terminal as far as it will go. Release the tab and give the wire a nice tug to make sure it’s snug and doesn’t come out. Once all the wires are inserted, push the wire bunch inside as far as they’ll go so that they’re not sticking out past the base plate. Next, take the main Ecobee unit and simply push it in until it clicks into place. You may need to press down on it in multiple locations to make sure that it’s fully connected. Go back to your breaker box and turn the power back on to every breaker that you turned off. Also make sure to put the cover back on the furnace, as many units have kill switches that turn off the furnace if the cover is taken off. After you turn the power back on, the Ecobee3 will automatically boot up and the setup process will begin. The first screen you’ll see when the Ecobee boots up is a confirmation of the wiring diagram. Tap on “Yes” if it’s correct. Next, you’ll get asked if you have any extra accessories connected to your HVAC system, like a dehumidifier or ventilator. If not, select “No” and then tap on “Next”. Most newer HVAC system usually have something like this, but most older system do not unless you add it on. Select your preferred temperature reading (Fahrenheit or Celsius) and then hit “Next”. On the next screen you’ll see the equipment configuration. It will attempt to automatically select what kind of heating and cooling you have, but if you need something, simply tap on the downward arrow next to the option and change it. Tap “Next” when you’re done. Next, you’ll get to name your thermostat. There’s a list of default names you can choose from or you can type in your own custom name. On the next screen, you’ll select your ideal indoor temperature during the winter when the heating is on. Simply just tap and drag your finger on the right-hand side of the screen to select the temperature. Tap on “Next’ when you’re done. You’ll also do the same thing for your ideal temperature in the summer when the A/C is running. After that, it will ask you what the current mode of your HVAC system is. This merely just tells the Ecobee3 what it should start at. Since it’s plenty warm here in the midwest right now, I’ll choose “Cool” and then tap on “Next”. The next screen will have you enable or disable Smart Home/Away, which overrides any settings if it detects that you’re home during an away period or vice versa by using the motion sensor built into the thermostat. You’ll now select your time zone by first selecting your country of residence and then tapping on “Next”. From there, you’ll select the closest big city that’s in the same time zone you are. Hit “Next”. After that, it’s time to configure the Wi-Fi for the thermostat, so tap on “Next”. This will allow you to connect your smartphone to the Ecobee. You can either use your iPhone or other iOS device to setup the Wi-Fi or you can set it up right on the thermostat itself. We’ll show you how to do it on the thermostat itself, so select “Select Wi-Fi Network” and then hit “Next”. Select your Wi-Fi name and hit “Next”. 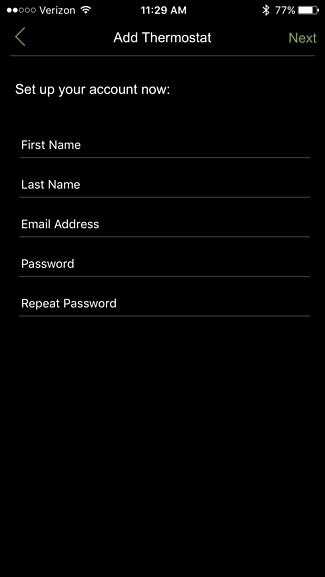 Enter in your Wi-Fi password and tap on “Connect”. Give it a minute for the thermostat to connect to your Wi-Fi network. Once it’s done, tap on “Next”. Confirm the date and time that the thermostat has set up and hit “Next”. The next step is connecting the Ecobee thermostat to your smartphone and linking the thermostat to your Ecobee account. To do this, your thermostat will generate a registration code. You’ll need to enter in the code in the Ecobee app, so now is a good time to download the app, which is available for iOS and Android devices. 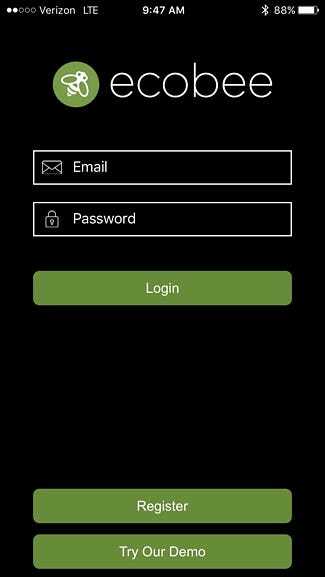 Open the app and tap on “Register” at the bottom. 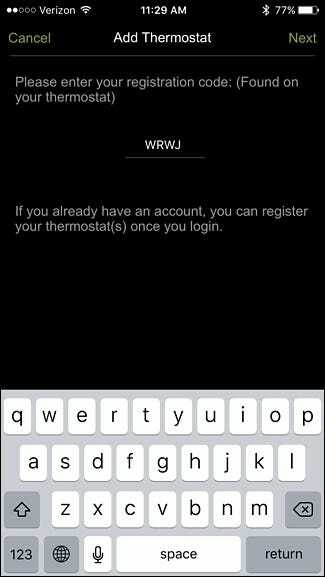 Enter in the registration code that appears on the thermostat and then hit “Next” in the app. 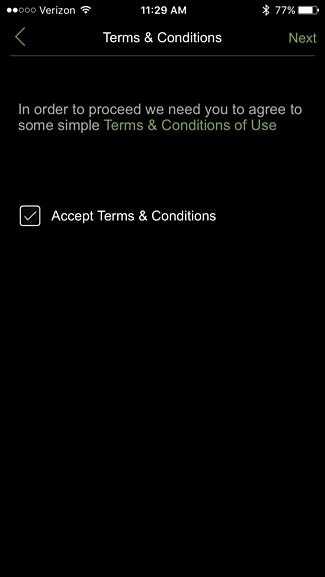 Place a checkmark in the box next to “Accept Terms & Conditions” and then tap on “Next”. On the next page, enter in your name, email address, and a password to use for your Ecobee account. Hit “Next”. Choose whether or not to have the weather optimize your heating and cooling by toggling the switch in the upper-right corner of the screen. Then tap on “Next”. 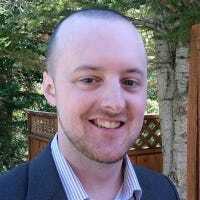 Do the same thing for Home IQ, which is a feature that tracks your usage and provides energy reports. Next, enter in information about your house, like the square footage, number of floors, and when your house was built. 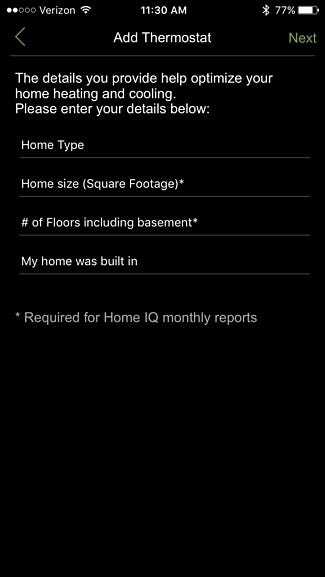 None of this is required, but some of the fields are if you want Home IQ to work. Hit “Done” when you get to the Congratulations screen. 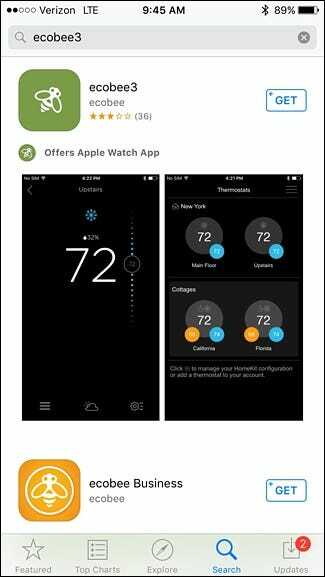 You can now tap on your Ecobee thermostat and begin controlling it from your phone. 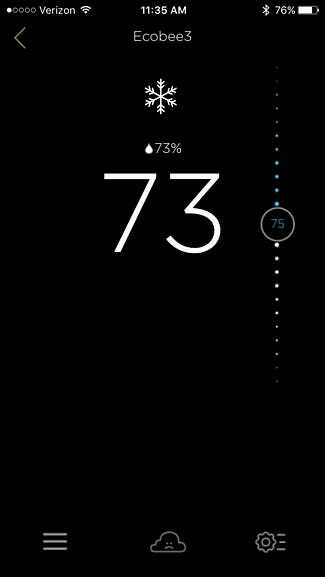 The user interface will mirror what it looks like on the thermostat itself. After your thermostat is set up and ready to go, it’s time to set up the remote sensors. If you have an Ecobee4, it comes with one sensor, but you’ll need to buy them separately if you have the Ecobee3 Lite. To start, simply pull on the plastic tab attached to the sensor. This will pop off the plastic battery cover. From there, attach the clear plastic stand to the back of the sensor and then place it in another room that you want the temperature monitored in. I placed mine upstairs in the bedroom, since the temperature differs on the second floor. Back at your thermostat, it will automatically detect the sensor. Tap on “Yes” to connect it. Give it a name by selecting one from the list or type in your own custom name. Select which modes you want the sensor to be activated on. If you’re not sure what to do here, just leave it to the defaults and tap on “Next”. Tap “Finish” to complete the sensor’s setup. Your sensor will appear in the list and it will show up the temperature that it’s detecting. Tap on “Follow Me” to configure when the sensor will be used. You can either enable or disable the Follow Me feature. When enabled, your thermostat will use the temperature from the sensor that detected motion most recently. When disabled, your thermostat will simply take the average temperature of all the sensors. Once you have your sensor(s) set up, you’re all ready to go and your Ecobee installation is complete. Take the time to peruse the Ecobee app to get familiar with the interface and its features.